Did the New Snow White Movie Rip Off a Video Game Trailer? Earlier this year, Obsidian and Square Enix released Dungeon Siege III. 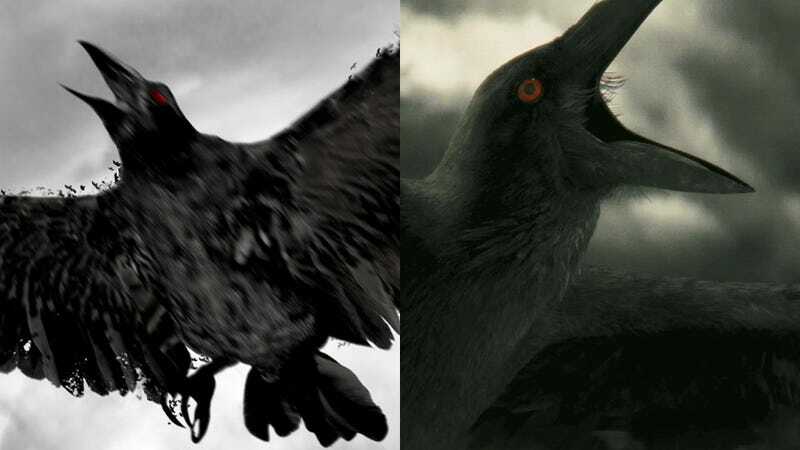 The game had a big reveal trailer involving a raven flying towards the camera then exploding into a bunch of other ravens. Fast forward to November, and the debut trailer for the new Snow White movie is shown. And...it features the exact same shot! Not something that looked sorta like it. It's almost identical. The guys who made the original Dungeon Siege clip, Create Advertising, are surprisingly cool with this, telling Kotaku, "Imitation is the highest form of a compliment." Moreover, they think it's "a good example of when theatrical is using gaming as a direct influence." You can see a comparison video below. What do you think?